Bankruptcy is a process in which individuals and businesses can eliminate or repay some or all of their debt under the protection of the Federal Bankruptcy Court. Bankruptcies can be divided into two types — liquidation and reorganization. Individual states are not authorized to enact their own bankruptcy laws. Chapter 7 bankruptcy comes under the liquidation category. It’s called liquidation because the bankruptcy trustee may take and sell (“liquidate”) your property based on the available exemptions in your state or in some cases use the Federal exemptions, to pay back some of your debt. You may keep property that is protected (also called “exempt” or “exemptions”) under state law and federal law. Clients filing under Chapter 7 rarely are subject to the Trustee taking assets and selling them. There are a few types of reorganization bankruptcies, although Chapter 13 is the most common for consumers. In Chapter 13 bankruptcy, you keep all of your property, but must make monthly payments over three to five year period to repay all or some of your debt depending on what is available after paying your monthly expenses. There are rules that govern the amount of each expense. For instance, if your monthly cable bill is $500 because you have every sports channel under the sun more than likely the Trustee will object to that amount. Both Chapter 7 and Chapter 13 bankruptcy have many rules – you should consult with a bankruptcy lawyer to find out how the rules will apply to you. Chapter 7 bankruptcy can be filed by individuals (called a “consumer” Chapter 7 bankruptcy) or businesses (called a “business” Chapter 7 bankruptcy). A Chapter 7 bankruptcy typically takes three to six months until the order of discharge is entered. In Chapter 7 bankruptcy, some of your property may be sold to pay down your debt. In return, most or all of your unsecured debts will be discharged. You get to keep any property that is classified as exempt under the state or federal laws available to you. Many debtors who file for Chapter 7 bankruptcy are very pleased to learn how easy & affordable it is to file Chapter 7 and that all of their property is exempt. If you owe money on a secured debt (for example, a car loan for which the car is guaranteed as payment), you have a few choices; 1. of allowing the creditor to repossess the property; 2. continuing your monthly payments on the property; 3. or paying the lender a lump sum amount equal to the current replacement value of the property. Some types of secured debts can be eliminated in Chapter 7 bankruptcy. Not everyone can file for Chapter 7 bankruptcy. For instance, if your disposable income is enough after expenses to fund a Chapter 13 repayment plan, you won’t be allowed to file a Chapter 7 bankruptcy. Bankruptcy doesn’t work on all kinds of debts. Although bankruptcy can eliminate many, such as credit card debt, medical bills, and unsecured loans. Child support and spousal support obligations and most tax debts, generally cannot be wiped out in a Chapter 7 bankruptcy. 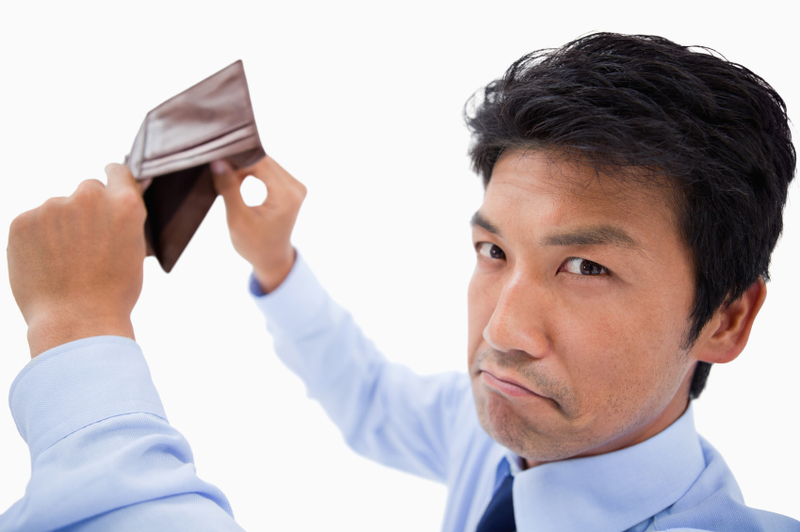 Chapter 13 bankruptcy is also known as “wage earner” bankruptcy. In order to file for Chapter 13, you must have a reliable source of income that you can use to repay some of your debt. When you file for Chapter 13 bankruptcy, you must propose to the court a repayment plan that explains how you are going to pay back your debt over the next three to five years. The amount you’ll have to pay depends on how much money you earn, how much you owe, and how much your unsecured creditors would have received if you’d filed for Chapter 7 bankruptcy. Ina Chapter 13 your debts must be within certain limits set by the federal government. You may not have more than a certain amount in either secured debt or unsecured debt. You’ll need to talk to a lawyer to learn what the current limits are. If you have secured debt, a Chapter 13 gives you the option to make up missed payments (as on a car or mortgage) to avoid repossession or foreclosure. You can include these past due amounts in your repayment plan and make them up over a 3 to 5 year period. To get a better understanding of how Chapter 13 can help with secured debts, speak to a Chapter 13 Bankruptcy Lawyer. There are two other types of reorganization bankruptcies, Chapter 11 and Chapter 12. Chapter 12 (family farm bankruptcy) is almost identical to Chapter 13 bankruptcy. But to be eligible for Chapter 12 bankruptcy, at least 80% of your debts must be attributed to the operation of a family farm. Very few people file a Chapter 12 bankruptcy.